Leather furniture is beautiful, until it dries and starts to crack. 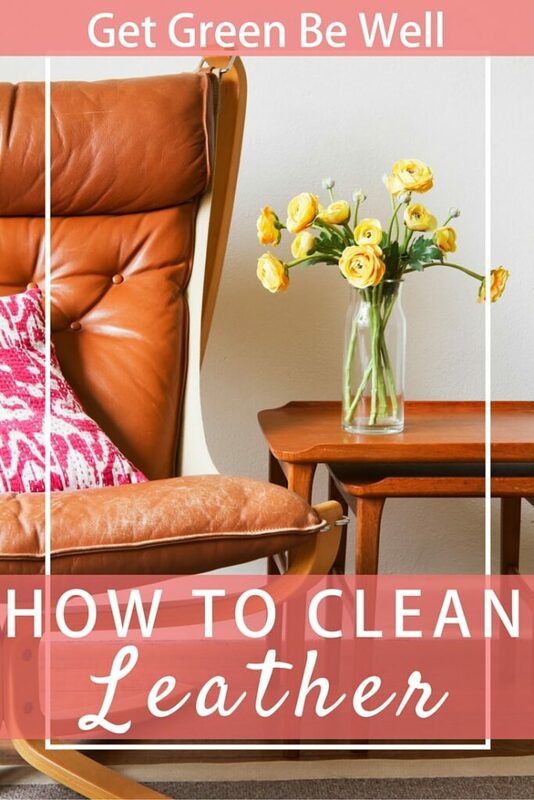 I held off on using leather cleaner on our chairs for years, because I didn’t want to use toxic cleaning products on something we use everyday. I just didn’t really know how to properly clean leather. Who knew that the answer to my leather cleaning solution was in the kitchen cabinet? Turns out, coconut oil is a fabulous way to clean leather and recondition the material. The same ingredients that you cook with are also what can give your leather furniture a new shine, too, so you know it’s non-toxic and natural! I started by scooping a small amount of coconut oil into a bowl. Then, I found a couple of cloth rags for the task. First, I dusted the leather furniture to remove dust and debris. I definitely didn’t want to grind that into the leather. Then I smeared a bit of the coconut oil on one cloth rag (not too much, you don’t need a huge glob on your rag), and then buffed it into the furniture in a circular pattern, adding more as necessary. It’s hard to tell, but the chair cleaned with coconut oil on the right is definitely more shiny than the un-conditioned chair on the left. Finally, I took a second clean rag and went over the chair again, buffing away the oil in the same circular motions. 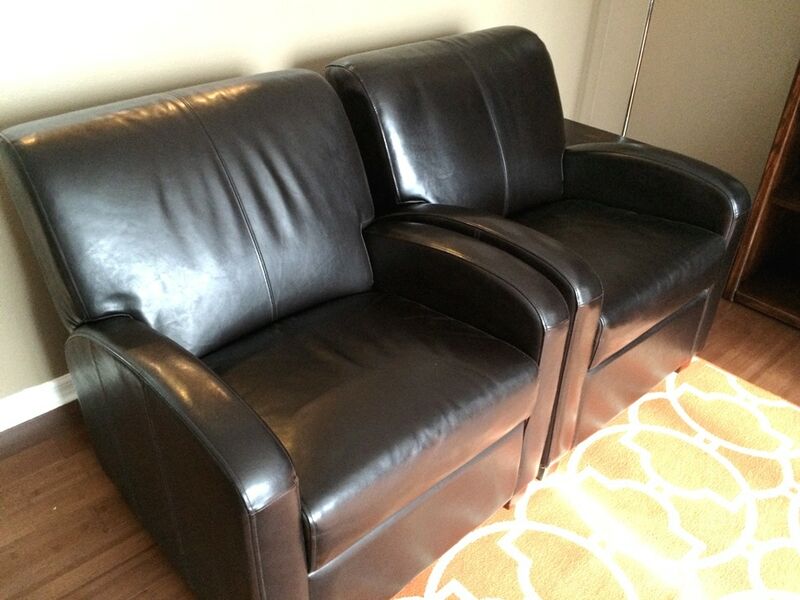 The leather chairs were definitely shiny, cleaned and oiled after I was done with the coconut oil cleaning. In fact, my first rag had definite dirt marks on it from buffing in the coconut oil, even though I had wiped down the chairs before. This works for buffing polished wooden tables, too! I wouldn’t sit on the leather furniture immediately after cleaning with coconut oil. There is still a bit of residue that needs to soak in that you wouldn’t want transferring to your clothes. 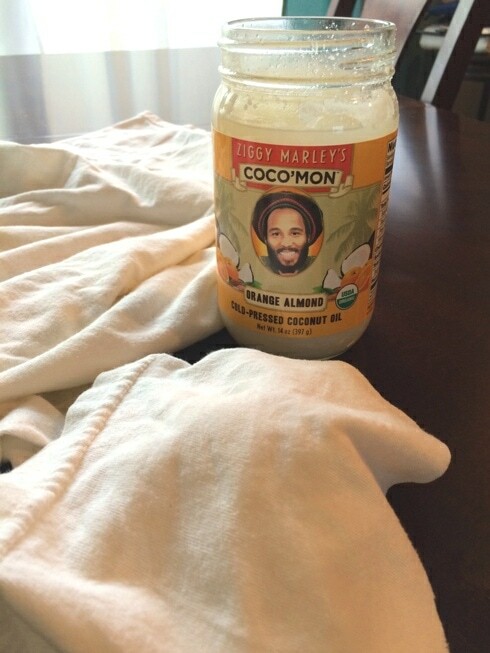 Maybe you’re not comfortable using pure coconut oil to clean your expensive chairs. I hear you. While most commercial cleaners are oil based anyway, maybe you just feel that a company that has created an all-natural leather cleaning kit is more your speed. Try out natural leather cleaning products such as Otter Wax Leather Kit for a complete system of how to naturally clean and polish your leather. I used pure coconut oil on our leather chairs, but I knew that if they got messed up, I would probably be replacing them soon anyway. The good news is that they were better than before and looked like new! 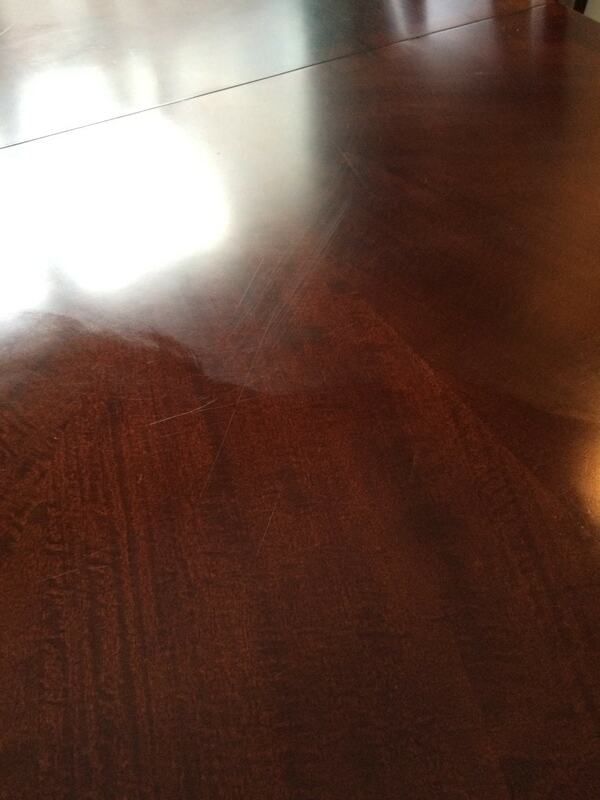 What is the best part of this non-toxic way to clean leather furniture and other leather goods? The scent of the tropics that’s left behind, and the money you’ll save by not buying another cleaning product that you don’t need! « Honored to Be Chosen as the Green Guardian of the Week by eCycle Best! It’s awesome how you came up with this cleaning idea. The best thing is that it works out and you are satisfied with the results you gained. I think it’s awesome you came up with yet another use for coconut oil for other than hair, and food! It happens to be extremely good for the body internally, and everyone should try the replace this magic oil with every other oil they are currently using to cook with. It provides us with the “good” cholesterol and also destroys the “bad” cholesterol. It’s good for your hair, soaking your nails, for your cuticles and now for conditioning furniture! Wonderful!! Since this post is quite old now, I’m wondering how the chairs faired after, and whether any of the colour of your chairs was loosened? Thanks, Clare. I returned the chair. I couldn’t stand the smell anymore! The smell of leather or the smell of coconuts? The smell is from the coconut oil, which is very light and disappears quickly.